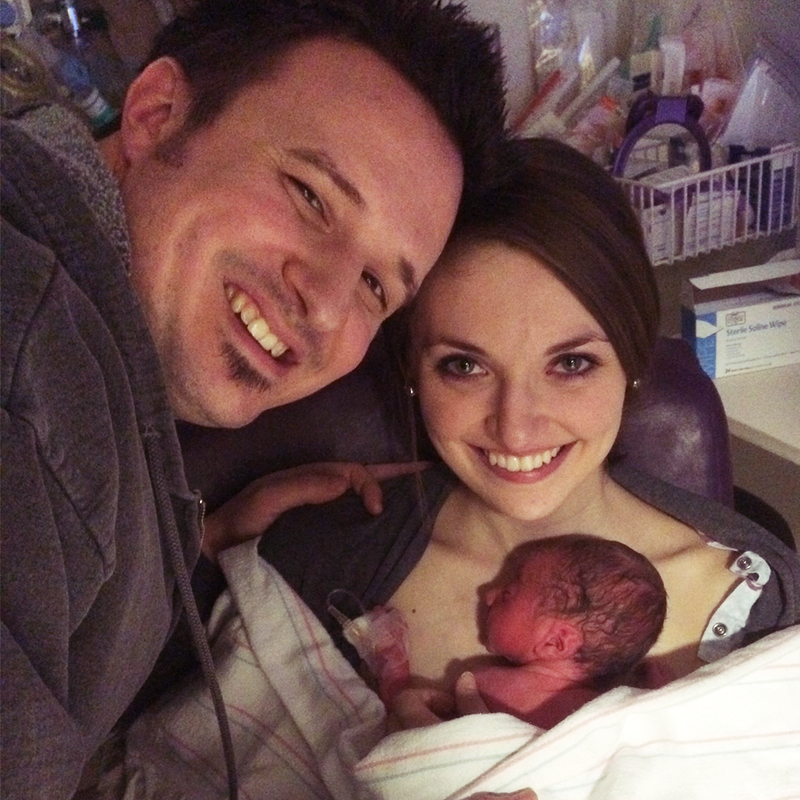 We had a due date of February 18, 2014 but found ourselves holding baby Isaac Michael on January 7th. 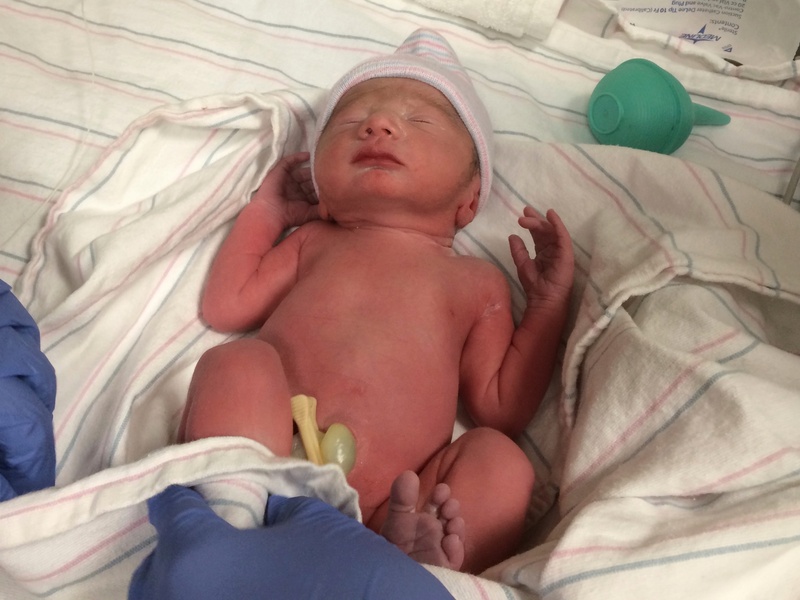 Our little guy arrived six weeks early, much to our surprise. At the beginning of January my dad and I were thinking about attending CES in Las Vegas on January 7th. Apparently CES doesn’t let nobodies like us in, so we stayed home. Looking back, I am glad CES wouldn’t let us in. 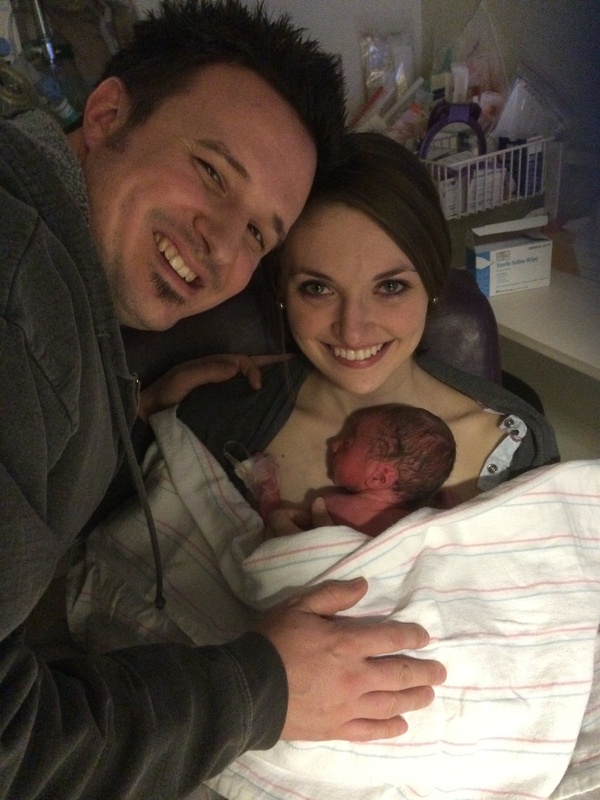 At 10pm my wife, Sondra, began to experience symptoms that we would later find out were signs of preterm labor. We went to bed knowing that in the morning we would call the doctor and be able to make a decision on what to do. On Saturday morning, Sondra called her doctor’s office and shared her symptoms. They advised her to visit the hospital and we agreed. Sondra spent most of the day waiting. Waiting to see a doctor. Waiting to get an ultrasound. Waiting to wait. Around 4pm, after all the assessments, she was admitted to the hospital and would stay overnight for observation. I took a bunch of flack for not being by Sondra’s side (Sondra’ mom stayed with her). Rather than waiting with Sondra, I came home and began cleaning the house and getting ready for the possibility of bringing home a newborn. Costco, Target, Home Depot and many other stops consumed my time. Isaiah was with Sondra’s sister and I took advantage of the time to bless Sondra with a clean home. I would begin sleeping at the hospital Monday night. It was determined that Sondra experienced a rupture of the membranes, meaning there was now a hole in the amniotic sac which increased possibility of infection for Sondra and the baby. It was decided that delivering the baby would be the safest course of action because the risk was too great. Because our little man was arriving 6 weeks early, Sondra was given a steroid shot to help develop his lungs in time for delivery. They gave Sondra magnesium to reduce contractions and allow the steroid packs to develop the baby’s lungs over the next 48 hours. I spent the day at work, being assured that things could progress in my absence. Sondra spent the day waiting for the medicine to do it’s job. Nothing to report. Nothing to get excited about. Just hurrying up to wait. At 4pm the second steroid pack had run it’s course and Sondra was taken off the magnesium to see what her body would do. 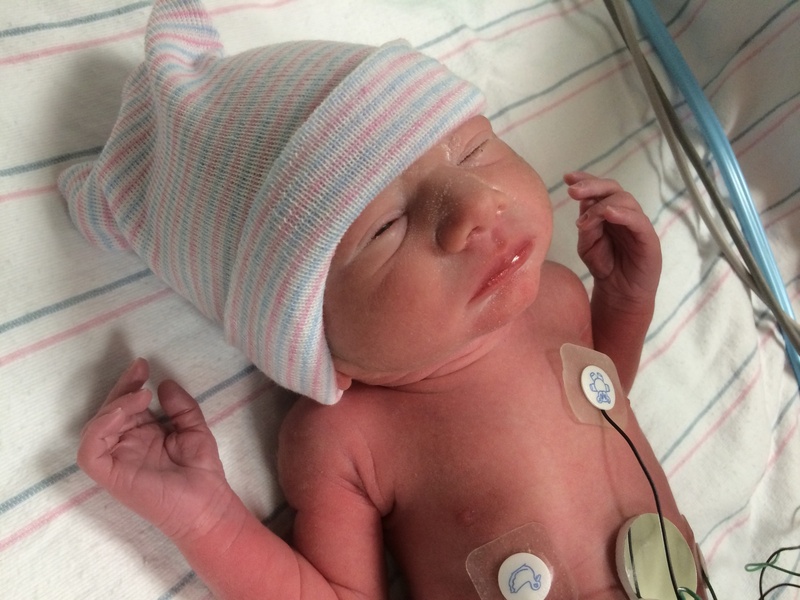 At 11am on Tuesday doctors decided to give Sondra pitocin to induce labor. Some girls respond quickly to the medicine and for others, it takes a while. Throughout the day contractions increased and by 5pm we were in full on labor. 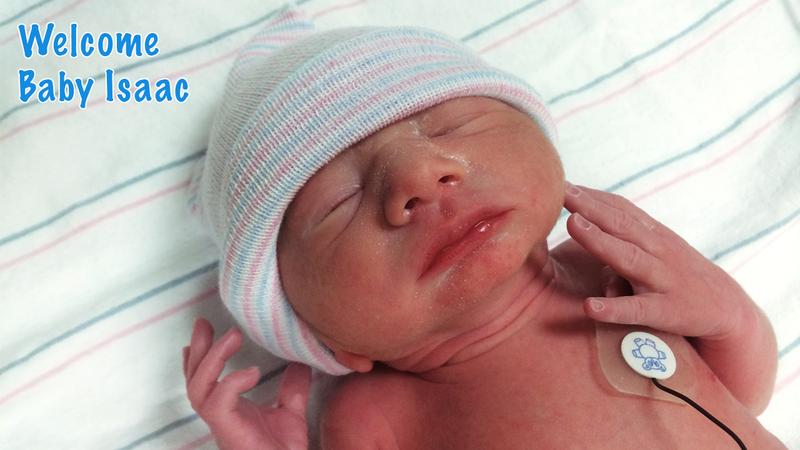 Four days after being admitted to the hospital we met Isaac Michael Shrein on January 7th at 8:29 pm. He weighed 4lbs 11oz and measured 17 1/2 inches. 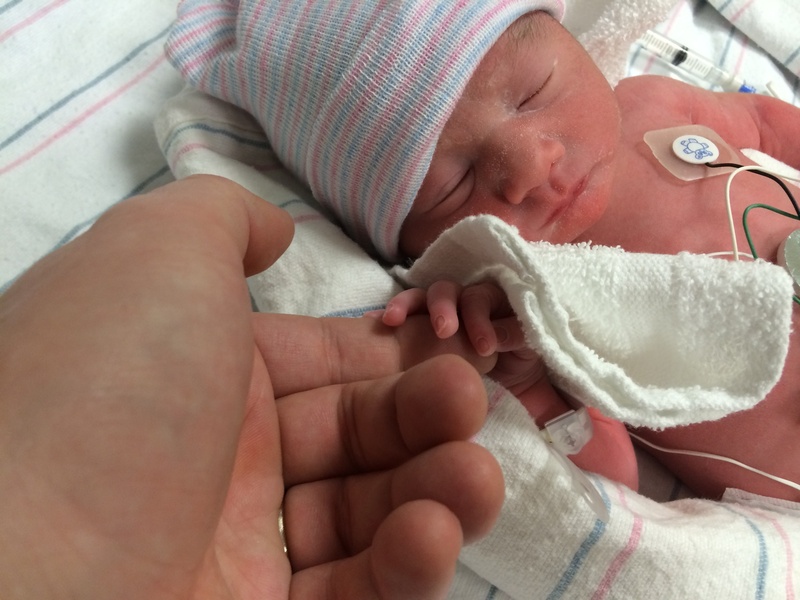 His health was on par with the best of babies born at thirty-four weeks. 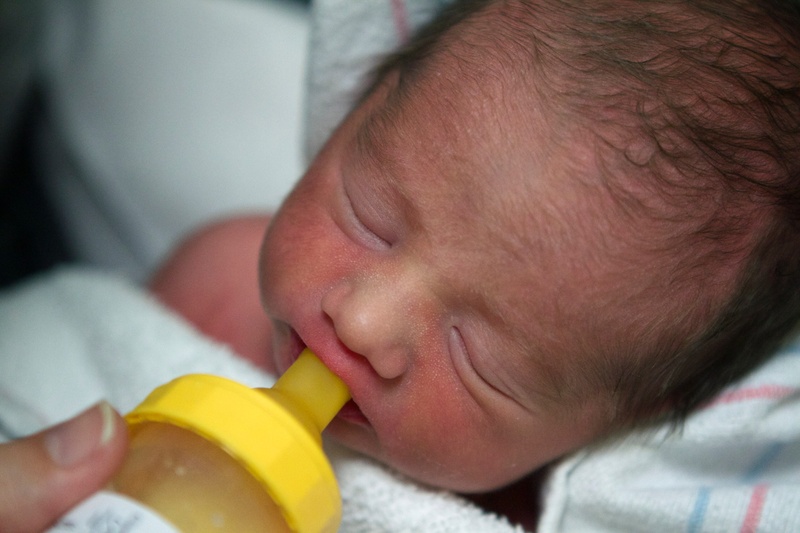 Babies born at thirty-four weeks have several obstacles to overcome but the primary concern is their lung development. Keeping Isaac inside the womb for two extra days to receive the full impact of the steroids helped ensure that he would be able to breathe on his own when he was born. It is also normal for pre-mature babies to stay at the hospital in the care of the nurses until parents are able to care for the child without medical equipment. As such, we are looking forward to bringing Baby Isaac home in the next two weeks. Mom and baby are both doing extremely well. We were discharged from the hospital Thursday morning and have been returning every several hours to visit with Isaac. It’s been tough on us, but we know he needs this time to prepare to live in the crazy Shrein home. Sondra is feeling great. We went out last night on a mini-date before visiting Isaac. It was nice to talk with her and hear her thoughts on the entire process. She doesn’t remember everything from the labor (she didn’t use any drugs) so she would ask me questions, trying to put everything together. Thank you to all for your prayers and your support. I hope you enjoy these photos of Isaac and our little family! Thanks for sharing! 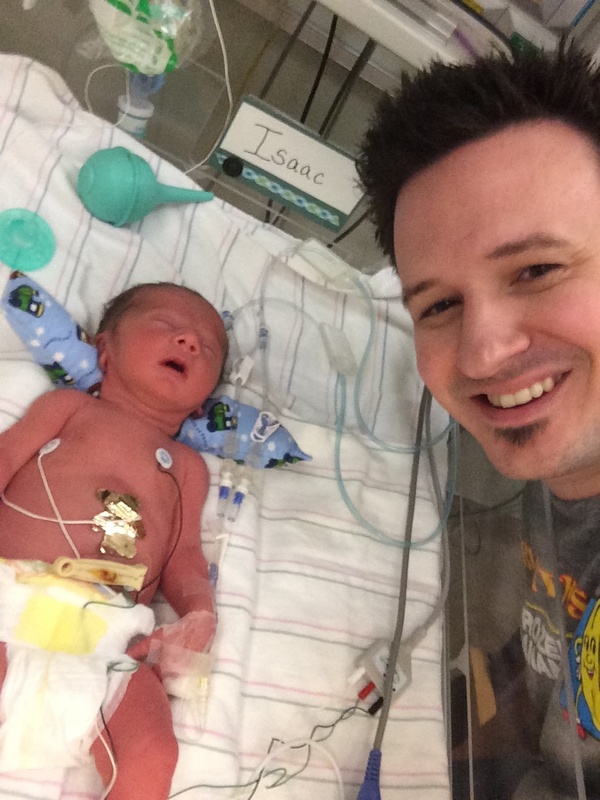 Isaac is a lucky little guy to get to join the Shrein family. Continued prayers for you all! Carlos, I know huh, WOW. It all happened so quickly. Thanks saying something. Means a lot to me and my family! Congratulations Dave! Your little guy is rock solid handsome! Praying for your family! Gerry, that means a great deal. I really appreciate you taking the time to share the kind words. THANK YOU! Wow all that going on and you were able to do my book covers. Amazing! So glad to hear mom and baby are well. Congratulations to you all. My pleasure Elizabeth. So glad to help. Our first born was induced on his due date. He was full term, but weighed 4lbs. 15oz. He is now a happy, healthy 30 year old! Have a ball with your new little guy! You will truly be blessed! Thanks be to God for the miracle of modern medicine! That’s so encouraging. Thank you for sharing, Shirley. I appreciate it greatly and yes, modern medicine is definitely a miracle of God!